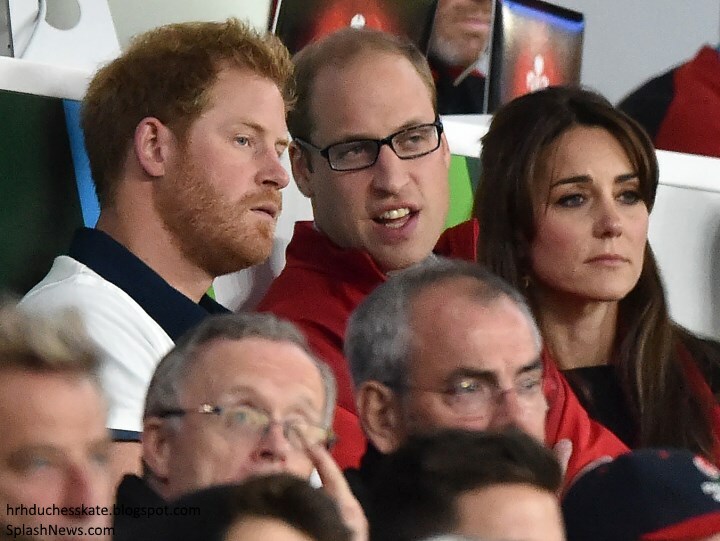 The Duke and Duchess of Cambridge and Prince Harry watched the England versus Wales match at Twickenham tonight. The royal trio carried out separate engagements during the week before coming together for tonight's game. Yesterday, the Duchess made an unexpected visit to HM Prison Send in Surrey where she met people involved in an addiction programme. Tonight's match is perhaps one of the most eagerly anticipated in the Rugby World Cup; indeed it's a rather competitive one for the Princes who supported opposing teams. Prince William is vice-patron of the Welsh Rugby Union and Prince Harry is honorary president of England Rugby. Official roles aside, the two are avid fans of the sport. 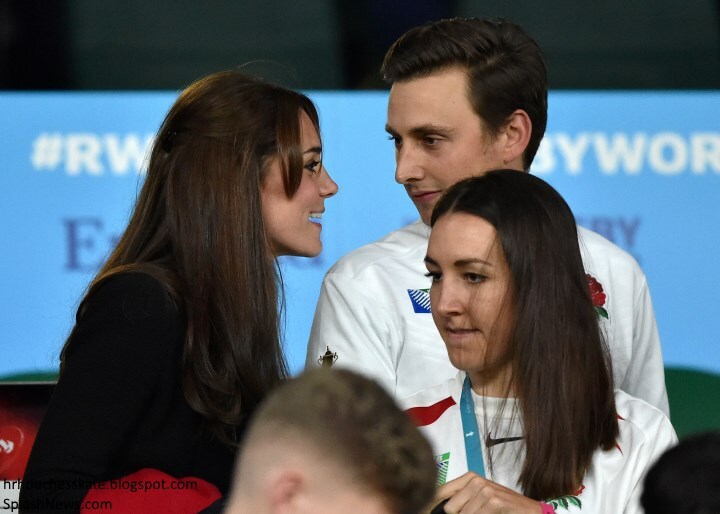 'The brothers, and Princess Kate, were back in the stands, where they had been for the opening ceremony Sept. 18, to watch England take on Wales at Twickenham, London. 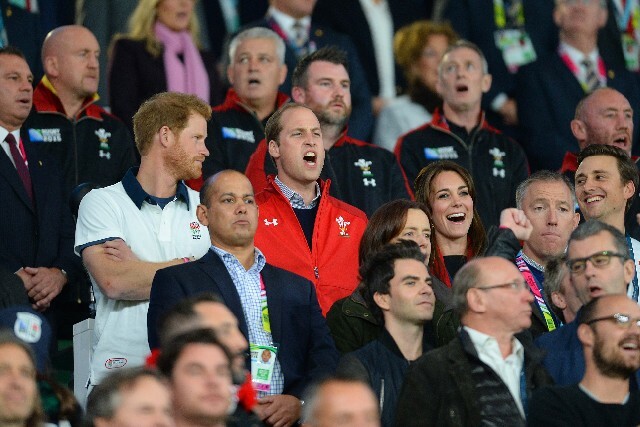 William and Kate were rooting for Wales while Harry backed England. 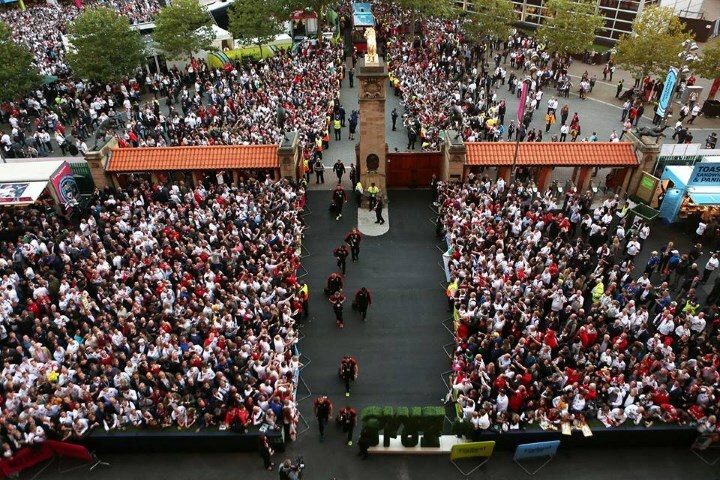 Experts predict the game will be the most lucrative of the tournament with fans at Twickenham spending £10 million. An estimated 10 million viewers (including my other half) tuned in to see which team would be victorious. The Duke and Duchess singing the Welsh national anthem. Prince Harry looked less than impressed. There was an enormous turnout of support for both teams. A look at the players in action. There were plenty of tense moments. One of the best photos of the night. 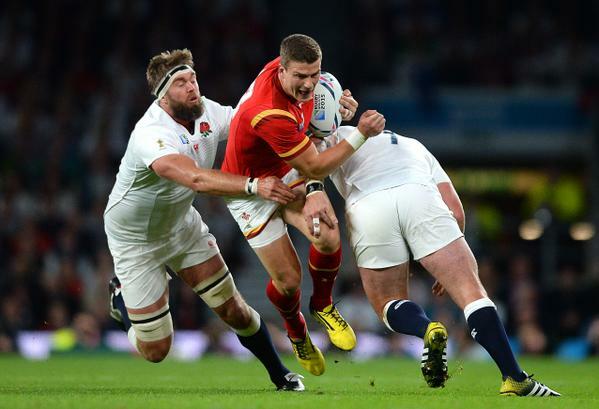 Whilst it was looking like the momentum was with England, Wales fought back and levelled before Dan Biggar scored a penalty from fifty metres handing the victory to Wales with a final score of 25-28. A delighted William and Kate embrace. It's always quiet lovely to see the two sharing a romantic moment. As a stunned Harry looks to the heavens wondering what went wrong (again, a direct quote from the other half who was very much experiencing the same reaction as Harry). William offered some much needed brotherly support. We waited hours for photos of Kate's outfit to emerge and there was enormous surprise when we discovered she was wearing print trousers. It was very much expected Kate would choose her "sporting uniform" for the rugby events, but she completely changed it up. It's wonderful to see Kate having fun with fashion, and I'm very pleased to see her trying a more youthful look. The hunt for the exact pair Kate wore went on for hours before Angela on Kate's Closet shared a link to a pair from ZARA. The black/ecru floral print trousers are a trendy style and they come with a skinny brown belt. They retail for £26. For those wishing to Repli-Kate the look, print trousers are very much in style at the moment with a wide selection of colourways and patterns available on the high street. 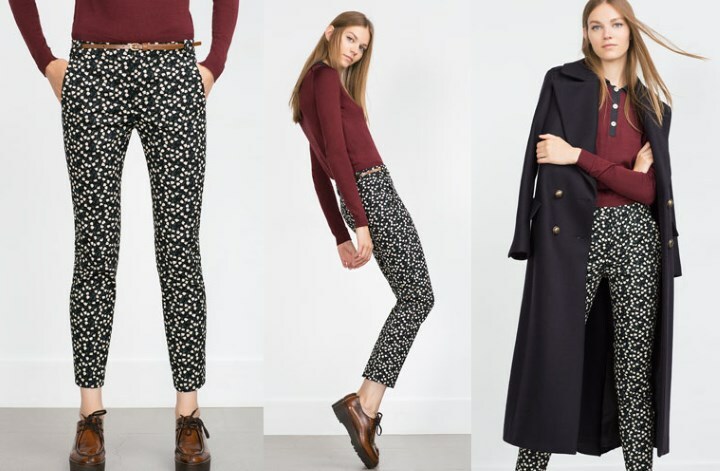 Below we look at the GAP Printed Slim Cropped Pants, Somerset by Alice Temperley Diamond Print Trousers, the Topshop Jodie Trousers and the Hobbs Mackay Trousers (as mentioned by several readers). Kate wore a black jacket with large buttons and velvet/faux fur trim. Due to the lack of good quality photographs it remains unidentified. We'll update if the piece is discovered. Kate debuted an eye-catching pair of new earrings by jewellery designer Catherine Zoraida (with thanks to Sophie from What Kate Wore FB). 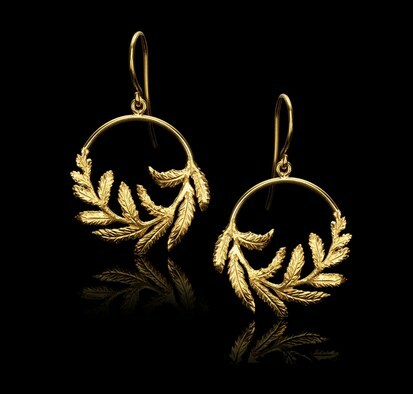 The Fern Hoop Earrings are available in gold for £150 and 18 ct solid gold for £700. Readers will recall Kate wore pieces by the jeweller to compliment her bespoke Alexander McQueen at a State Dinner in Malaysia during the South-East Asia tour in 2012. Below we see the Double Leaf Earrings and Spread Your Wings bracelet. 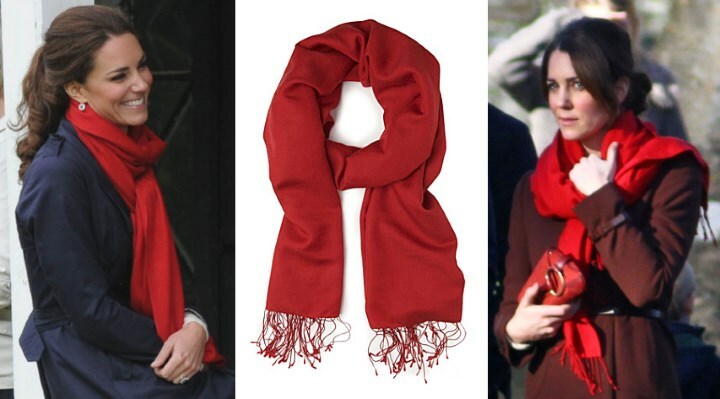 It appears Kate wore the red Hugo Boss scarf she selected for Christmas Day in Berkshire in 2012 and during the Canada tour in 2011. The choice of red was most likely in support of William's team. Unfortunately the quality of photographs from the event was very poor. We'll update if better photos become available. In two other brief updates, our Claudia Bradby giveaway is ongoing. 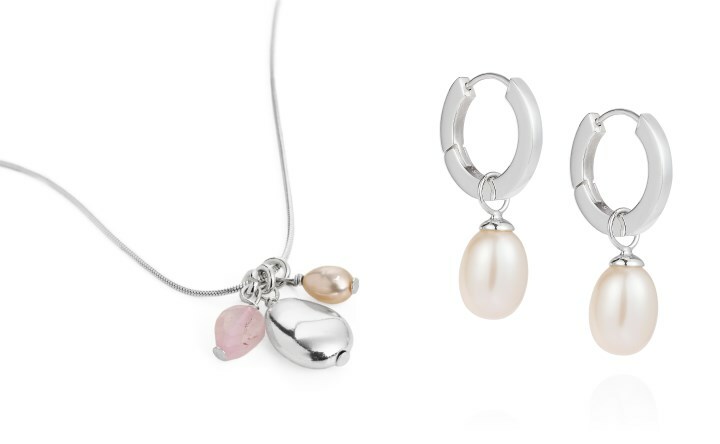 For the change to win the Kate Rose Quartz and Silver Necklace and Biography Pearl Drop Earrings please click here. Readers can also avail of an exclusive 15% discount code by entering HRHAW15 at the checkout. Kate is expected to have a busy calendar for October and we should begin to hear announcements very shortly. Kensington Palace shared this tweet earlier today. Emma didn't look the happiest in some of the pictures, Large Noise crowds are probably not her favorite. Might be that, or that she was rooting for England :P Or that noisy big crowds are a security nightmare. The 2 security next to Emma didn't look too excited about the game either. Yeah, they're not supposed to watch the game, they're watching the crowd. So it would be odd if they were cheering to much. Of course they aren't excited about the game since they can't really watch it. They are obviously keeping an eye on the Royals and watching out for possible threats. That's probably because they aren't there for the game. They are working and scanning the crowd to ensure the 3 royals were kept safe. It's hard to enjoy something when you are working. One loss of focus for the security team can have devastating impacts. I think the boys handled it nobly. I also was wondering how that might work out. I would think it's a bit stressful being on duty at an event like this. Thousands of people, loud, rowdy might make it a bit more difficult. I know they are trained for all situations, but.... Julie from NC worded it correctly that a loss of focus can have devastating impacts. I laughed when I saw Harry's not so impressed look at William and Catherine. It reminded me greatly of the way my sister looked at my brother and I when we were younger. We were a bit mischievous and she was not. I don't think it's a 'not impressed' look. I think there's a hint of a smirk there and he'll have taken the mickey out of his brother later. I love her new earrings!! :) Also how she had her hair pulled back a bit, very sweet! Not sure if those glasses suit William; think he should try some other styles! I was so focused on Harry's yumminess I had to go back and look at William's glasses. I actually think they look good on him. Your grandfather must have been much admired by the ladies. I very much like Harry's beard. Sounds like you have a fine pair of grnaddads on both sides! Who does your other grandfather look like Rebecca? Bluhare, can you believe that my dad was a mix of Paul Newman and Marlon Brando? Really, Paola? He must have been one good looking man. A young Marlon Brando and Paul Newman combination? That would be practically male perfection! A lot of my friends growing up acted so silly around my dad because they thought he was soooo handsome and charming. I was like, um, yeh, that's ma dad. :) My dad thought that was so funny having a bunch of lanky pre-teens giggling and acting silly every time he came around. William seems very relaxed, spontaneous & affectionate. Laughed aloud at your comments, dear Charlotte, about your other half !!!! A great post !!! cute, Charlotte. I can totally relate. My sister-in-law faced the same dilemma in planning her wedding. didn't mean to rub it in or anything Amy. A university football game is happening to my right. I'm paying no attention to it. Not at all a sports fan myself although my dear late dad would watch anything. I don't know that it has much to do with fitness either. The men I know who are keen spend more time sitting in front of the television on the weekend rather than being out doing something. So true, Julia! When I watch ballet I want to get up and do an arabesque (as I used to dance ages ago, ha) but watching sports doesn't seem to have that effect on my better half! He seems perfectly content just sitting for hours or falling 😴 !! Or falling *asleep*. I guess my sleepy face didn't work! But, on a success note, I posted a comment from my cell phone today and it worked! Yay! Some weird spaces appeared when I saw it here but that's an accomplishment for me :) I need to go back to a previous post where we talked about this to see who wanted to know but it worked! Now I just need to figure out how to get my name and state up top since there are two of us. WVU vs Penn State for homecoming year after year after year, back in the day. Of course WVU has a state of the art football program now and has had for years. Their team this year, so far, is undefeated. Me too Amy!! Even though I now live in Wisconsin, was born and raised in Michigan. Loved the pictures tonight - Kate looked amazing!! As my husband was watching the Lions lose to Denver tonight, the beginning of the moon eclipse was shown. That caused us to look out the window, and sure enough the clouds that were heavy at sunset had cleared and we had a beautiful view of the eclipse of the super moon. We are grateful for the Lions lunar coverage! I'm sorry for your dashed hopes, Amy, but something good came of that sports event. Looks like a lot of fun! 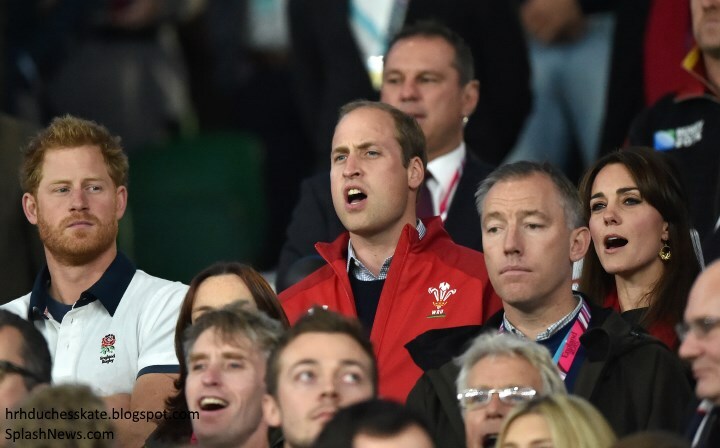 Especially enjoyed Harry's annoyance with William singing the boisterous Welsh national anthem. I love that red scarf! 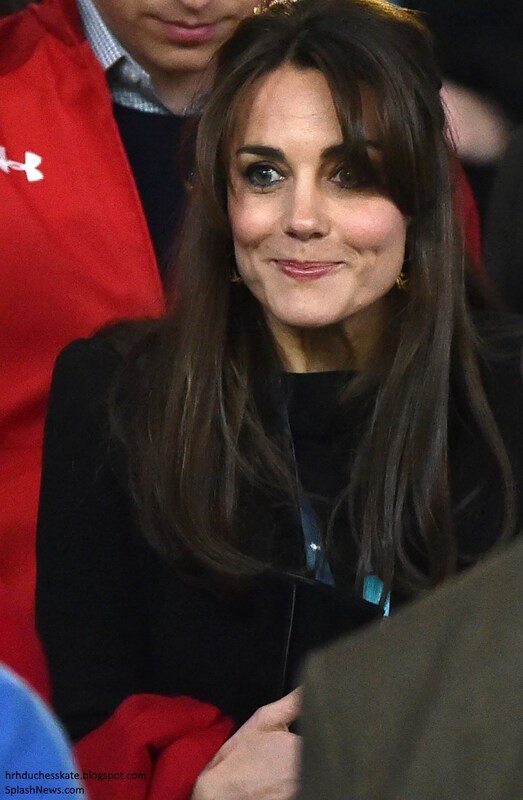 The earrings would work well if the Duchess attended a New Zealand match, too. Bluhare... I am back to the blog after a long super-busy moment and I find you as a Druid priestess... non ci posso credere! (translation: I can't believe it).! Love it Bluhare - I think the priestess must have won out! And love your reaction Paola! A bit of Italian I shall keep for upcoming holidays! Google Translate is very poor indeed, if it cannot translate Welsh Druid! What did they do it for? (in Italian: che l'hanno fatto a fare?) I don't know if this sentence has any sense in English, in Italian it is a very common one. Pop in when you can, Paola. You are this blog's little ray of sunshine and I miss you when you're gone. I hope your class goes well, though. Buona fortuna and the Druid priestess says Pob lwc. That should be good luck in Welsh! I've never watched Rugby......maybe someday! Harry is Vice Patron of England Rugby. The same position William has for the Welsh side. Harry is the honorary president for the World Cup tournament, which England is hosting. 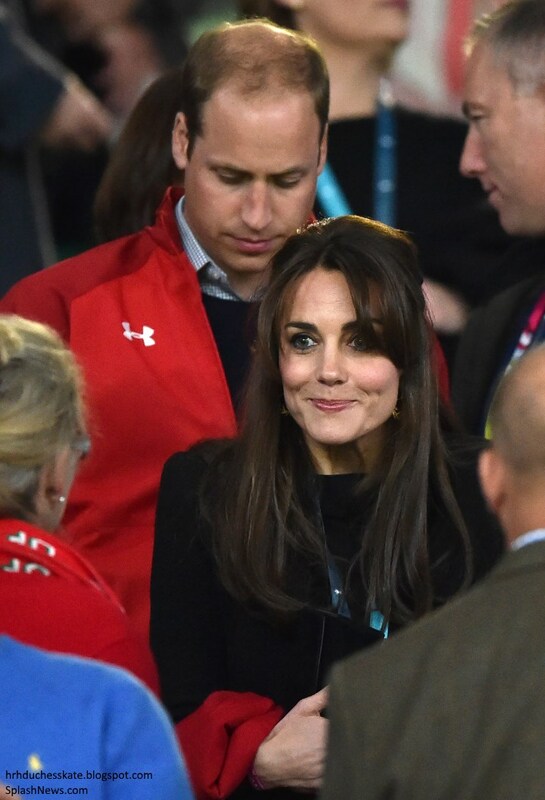 Loved how William appreciated Kate's presence there. If I were the PPO there, in a crowd, during a loud high profile sports venue, it would be all business for me also. Good to see them all together. Looked like a fun evening. Harry is a hoot, love him. The three of them are so natural together. So glad that they have each other. What a blessing. Kate is definitely wearing a coat, my guess is the light blue part is part of the ID badge you see other people are wearing and not a dress. This is them arriving. Looks like they had a great time tonight at the game. I love the expression on Harry's face when he is less than impressed with William's singing. I literally laughed out loud. I love Kate's earrings, they are so pretty and unusual. I hope more pictures come out soon. Julie, I had the same reaction at Harry's expression! Too funny! Still awaiting HQ photos everyone. I imagine within the next couple of hours at the very latest we'll see something. Ladies, Kate is wearing polka dot trousers. I repeat polka dot trousers..
Polka dots? hadn't seen the pants yet. Now that I have, Yes. Gorgeous sports outfit. I agree Erika. Someone from Kate's camp is reading this blog AND implementing change. Lots of good Ideas here so kudos to them. Charlotte, I am giggling at your comment imaging the tone you might have said it in. POLKA DOT TROUSERS. I absolutely LOVE the polka dot trousers! Way to go Kate on the new look! BINGO, you know they do. Dare we hope someone does read us - but whatever the cause, wonderful. It cracks me up that KATE WEARS PANTS is the headline for most articles about her appearance. Makes it sound like someone who often goes out forgetting their pants. Moxie LOL II can't stop laughing! I love seeing W,K&H at events like this. They are so natural with one another, in a way we never see during official apppearances. Lol I am, aren't I Rebecca. A big yeahhhhh finally she changed it up! I suppose this has been my fave post for a long time!! Unfortunately I can't relate to rugby at all, I am a tennis fan but never mind. Harry looked really funny sometimes, it is funny to see how people invest in certain sports! Totally awesome! Well, Erika, if it makes you feel any better, I just ordered the everyday pearl drop earrings! I really want a piece of CB jewelry and these are simple and affordable and my way of thanking you Charlotte and Claudia for the beautiful jewelry, the discount and the giveaway! She is doing great bluhare. The cast is off and she is finishing up some physical therapy, so that crisis is over....... on to the next :-) She is more than ready to design the next outfit but I don't know that she can top those shoes. When the security guard sitting to Emma's left kind of slightly bent forward, covering his mouth, she and the security person on the other side of that guy definitely took notice. Thankfully he perhaps was just reacting to the game. I LOVE, LOVE, LOVE the pants. YAY, Kate. Kate's worn plenty of jeans, but I do want to see more dress pants. I'm just happy she seems to be getting her 2011 swag back! Sarah, but they were still all jeans, right? I can't remember seeing her in any other pants than training pants and jeans. But I might be mistaken. I know anon 02:33! I couldn't tell if he was laughing, crying or about to throw up!! Was a funny pic, though! Silly question Rebecca, do you speak Swedish? No particular reason other than some people in their native lands do not always speak their native language, especially in metropolitan areas, especially these days. I have enjoyed bits and pieces of the Pope's visit here in the states and last night was trying to follow a little of his speech in Philadelphia, the Festival for Families. I loved listening and being inspired by him but unfortunately I had to rely on the translator to follow as my brief exposure to Spanish in elementary school didn't stay with me!! But the message of "la famiglia" was strong! See, not even sure about the spelling! That's wonderful and fascinating, Rebecca! Keep it up, girl! Kate did wear different types of pants before she was married! It always baffles me why she decided to stop and just wearing skinny jeans. It's odd. Do you have any links to the pics? I for some reason can't remember that engagement. Polka dot pants? I literally spit out a sip of my Pinot Noir as I scrolled down to that pic. No skinny jeans! Kate looks to be wearing the Hobbs White Mackay trousers. But cannot be sure! As for her blazer, I will leave that to you! Could be wrong though! Would like to know which coat/blazer she is wearing. It's hard to tell from the pictures. I think Kate's polka dot pants are from ASOS. The print matches the photo on the link I found. But, I'm not sure she is wearing maternity pants. 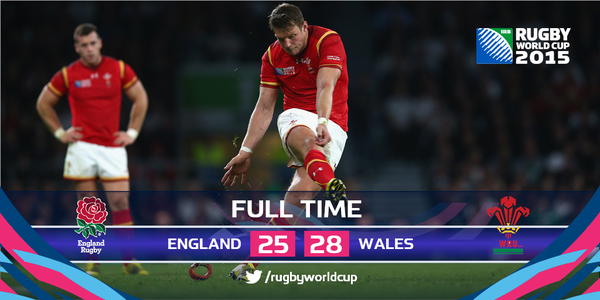 My husband is Welsh, so you know who we were rooting for. Those (ahem)! pants!!! Whoa! Someone is definitely reading the blog!!! Kate is now starting to do all the things which have been topics on here. She looks great! And I sincerely hope the skinny jeans have gone in the bin! Kate is not wearing her skinny jeans. I think this is the day lots of us ladies were waiting for. And it's finally here! Ok I'm now about 75% convinced that Kate's pr team does read comments about Kate. Lol. This was definitely a major wardrobe change, and she's not wearing a navy blazer either. Thank God!! Do I think the skinny jeans and wedges will pop up again, definitely! But lets hope they will less frequently and she starts wearing more pants like these. Kate is finally wearing her big girl pants!!! I agree anonymous, I still don't like her hair. I think it does age her about 10 years. She not only mercifully spared us from her uniform but wowed us with something so fresh and sweet. hope you know how much we truly appreciate it. Blair: big girl pants! I love it! So happy to see Kate in proper trousers and looking quite happy. I too am convinced that someone on Kate's PR team is reading this blog, kuddos Charlotte. And I have to say it again, Harry is just delicious! 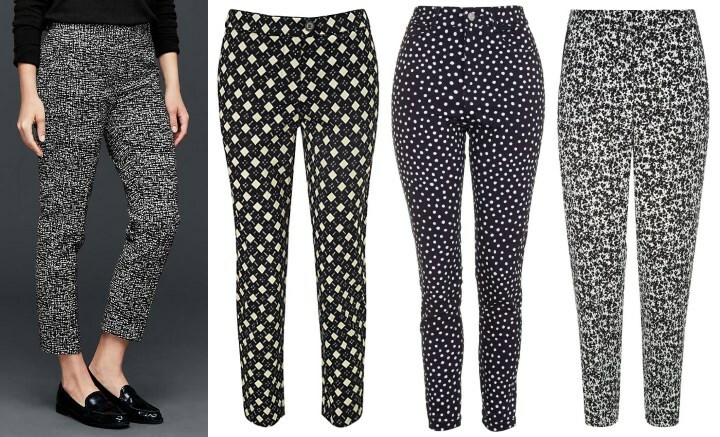 Someone on fb suggested these - http://www.zara.com/us/en/woman/trousers/view-all/floral-print-trousers-c733898p2903517.html. I agree. The post is updated with the ZARA Trousers (we originally thoughts they were the REISS Olivia). We're still awaiting high-res photos. What do you all think of the trousers? It's great to see her trying a new look. She looked SO beautiful today and comfortable. All of our fashion angst and efforts paid off. I think they are listening. Love to see the three of them together. Diana would be so happy. Posted above, but LOVE the pants! SO cute and stylish! Great job Kate! I loved the trousers - they looked so nice. Such a youthful, fun bright look! This is one of my favorite posts because I LOVE seeing the terrific trio together! William, Kate, and Harry looked to have a fabulous night together. Poor Harry though; I feel a bit sorry for his loss. The picture of him looking off in disbelief...I want to give him a squeeze and tell him it's alright. :) William and Kate look lovely together and we all love to see a little Royal PDA. They look very happy. Said it a couple times above and will say it again...LOVE THE PANTS! Does anyone know who the guy sitting beside Kate is? The one that's not William :P He looked rather chummy with them and looked on Harrys phone and chatted with them and such. I was wondering if they knew him since before or they were just chatting along anyways. He does. Which one though? So, we need an ID on the Jacket, (shoes), and the Van Straubenzee. 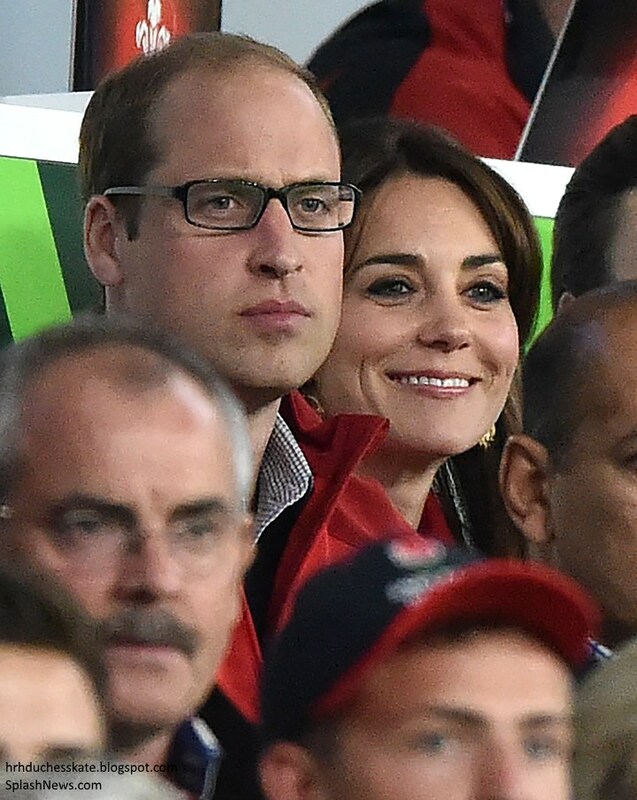 The photos are so wonderful - she and William are so gloriously happy together - it is delightful to see. And poor Harry!! He did look a bit grim there. A fine afternoon and - dare I say it - an exciting victory. I agree! Seeing them so happy and touchy-feely (about) 12 years into a relationship is heartwarming. These two seem to have the longest honeymoon period :P And it's not the over the top touching, it's subtle things mostly! Very sweet! Now Rebecca, Mr Leo and I have the longest honeymoon period - thirty years! And not afraid to show it - within reason. And I have no doubt that William and Kate will look equally loving after thirty years although I will have to be a very old lady in my eighties to see it. And you're right - it's not over the top. Even my mum would have approved. And actually she and my dad had one of the longest honeymoons, almost sixty-five years and they still acted like newlyweds. In fact she couldn't live without him and died just a short time after he did. I hope William and Kate have as many happy years together. With the strong genes on William's side at least, it could happen. I'm waiting with excitement because I believe Philip and Elizabeth will reach the big seventy in a couple of years. I'm thinking that will be another milestone, because no other monarch had so long a marriage. George III and Charlotte were the next longest, I believe at fifty-something. Again...(I'll just cut and paste my comment from the last blog entry): WIN, WIN, WIN for me! Yay, Kate! I love everything about this appearance. And from the rest of everyone's comments, we all seem to be in agreement. Sweet! I love her whole look. At first I thought she was wearing a red blazer and was happy just for something other than the navy blue blazer, but this, this is even better! PATTERNED PANTS! WOW!! I feel like Kate's wardrobe just won a game (since we are in the sports theme tonight)! Thank you Kate for changing it up for whatever reason. I love those pants, its about time Kate, and I want a pair of them! Actually so surprised to see she wore something other than her blue skinny jeans! October looks like its going to be an interesting month of engagements... thank you for the post. Do we have any idea what shoes she wore with the cute pants? I recently bought the navy with white polka dots cropped pants and I love the way they look but was considering returning them as they look cute with flats as in the picture but not sure what other shoes I like them with on me. Maybe a little fun ankle boot? Or really big wedges? Ha, sorry ladies!! I think she might have worn flats actually, since she looks so tiny compared to william. Also, I think I saw a bit of skin/ankle on her foot in one picture so my guess is some kind of ballerina flats :) But I'm just guessing! I have a question: where do Kate and William go to before the rugby matches? Because yesterday I was working at the Twickenham Pavilion where VIP and guests cab enjoy a meal before and after the game, and was expecting to see Wills and Kate there... Last week Zara Philips was there (and yesterday one of the Queen's grandchildreen as there too apparently), so does that mean that only "lesser" royals do this kind of thing? It must be such fun working at the Pavilion during the Rugby World Cup. Kate was photographed walking through this area by a rugby fan, perhaps you recognise it? I would have liked to have seen her in come nice wide leg print pants, but I should just be thankful that she ditched the uniform. Though the uniform usually seems to be a daytime outfit, and I think that was at night? I don't care for the earrings, but always nice to see a new pair of earrings. My favorite thing to buy. The three of them together is always a winner. Love their interaction. Great outfit on Kate, love the pants! Also love W and K's obvious love for each other. Great post! I'm really thrilled to not only see her in trousers, but printed floral ones at that! Does anyone think her assistant reads Kate blogs? A lot of us have spoken about wanting to see her in trousers for a change, and then she wears these floral ones. It could be a coincidence......or not. I really like her gold hoop earrings. Some people aren't too impressed by them. I personally enjoy them on her because they remind me of her pre-marriage style, and they look more modern than her usual pearl drops and gemstone drops. Juppi, pants! I LOVE to see her playing with fashion, there is so much out there in the fashion world taht needs to be explored! Other than that I think I have to admit, if it would not be for the surprise effect and the change, I do not like these patterned pants. They have been around for a while, are not very flattering and they always remind my of my mom pyjama :) But hey, if I have the choice between the pyjama and another round of black tights of skinny jeans, I go for the pyjama! I hope so much that this is the start of a new age of fashion for Kate. Charlotte, if this is considered an official engagement, would KP communications office respond to a request for information? Do they never give out information on her clothing choices, or only at certain times? I'm just curious how that all works. KP usually give out info at all official engagements (apart from events such as Remembrance Sunday). The Palace announced Kate was wearing REISS for the opening ceremony. Interestingly, the England v Wales rugby match was not added to the court circular. Of course, it's rarely updated in a timely fashion but it's looking like it wasn't counted as an official royal appearance. As Kate isn't patron of the rugby association, perhaps that's why it wasn't considered official. I should look and see if it counts for William and Harry, as they are. Technically, she is Princess William and she is a Duchess, Countess, Baroness. Technically she is a princess because she married a prince. She is styled a duchess. When William becomes POW, she will be styled a princess. When royals only married royals (and the ladies were born princesses) they were styled princess mary, duchess of york and cornwall (later queen mary). Now that those rules have relaxed Catherine is tecnically Princess William, Duchess of Cambridge. The only current family member styled this way is Princess Michael of Kent (she is referred to and addressed as Princess Michael) because Prince Michael does not have a dukedom. Catherine is not called Princess Catherine because she was not born one. Hope that helps. Amazed to see that Kate's wearing these (brightish) trousers, although they are so tight, they could almost be leggings. Hope Harry finds a happy relationship in time. Pictures of George and Charlotte with nanny have emerged. As has a few other blogs. As you may have heard pap shots of George and Charlotte with Maria have been published. Following the reaction from the KP letter and feedback from readers since, I have decided not to post pap shots of G & C.
Of course, the royals can expect to be photographed out and about and we will continue to post candids of Kate (if the children are with Kate we'll review it on a case by case basis) but my understanding is George was very much hounded by a group of photographers and my guess is it will continue with some frequency. It's a tough topic fraught with emotion and there are very valid arguments on both sides. I just feel for now this is the best way to approach it. I think your approach is a wise one. Thank you Charlotte. This is the feeling I have gotten from much of the community, actively supporting each other in not spreading these pictures. At least as a gesture, but also if they don't get spread as much and we fans are more aware at least they can get a little less value. I have to say, I'm completely perplexed by the hand wringing over these photos. And what I'm about to say is from true curiosity, so I hope the tone does not seem smart or "snarky". KP is one of the top tourist attractions in the city. The Royal helicopter takes off and lands in public view, and most people passing by will pause, even momentarily, to see who might be coming or going. It attracts a lot of attention! George and Charlotte are bound to be noticed, anyone could have snapped this photo. So what makes it so objectionable? The royal children are watching the helicopter. If a member of the public snapped this photo and posted on twitter "Look who I saw" would that be objectionable? Would you look or retweet it? Is it the assumption that it was taken by paparazzi that offends? I find absolutely no harm in it, the children were clearly not distressed and I just can't get myself to the "invasion of privacy" argument. I respect your opinion Charlotte but KP is not a private home and open to the public. The area where these were taken is a public area. They are with the PPO'so and the Nanny. But this one pic is not a stalking paparazzi. I fully understand and respect your opinions and in fact I can entirely see your point. It's just, we cannot know the circumstances involved (on this occasion, as you said they were taken at KP) the next time perhaps the tactics the Palace mentioned will be deployed to take images, I thought simply not using pap pics of G & C with Maria might be best? Of course, I write this blog for all of you and I'm interested to hear your opinions on it. It's a tricky situation with many different views. Thank you for sharing your thoughts, I take them all on board. I am very happy that you decided against this Charlotte. On the outside it may be legal and seem harmless, but if you constantly follow or dwell in areas that the children go to as these KP helicopter grounds are, it becomes intrusive and just a hindrance to their wellbeing. We don't know the circumstances, but one thing is clear. William and Kate would not want it. Any parent would not want it. We should respect that. I am with Claudia on this one. Anybody could take these photos easily, and let's be honest who wouldn't share them. You always did a good job in my eye, in connection with any pap or not pap photo taken. Sometimes you published a link which was also great. Not like it is difficult to search for them. But I understand it is a difficult line to walk past. Still I am for the publishing if they are decent ones. I hope you give this a second thought. Thanks for reading! It's entirely up to you Charlotte. Folks who want to see them will go to other sites to view them. Word gets around that they exist. I think it is a disservice of KP to not regularly release photos of the children so that these photos don't become high value. They are printed in a magazine which is part of the Commonwealth. Of course everyone wants to see what Princess Charlotte looks like - it's a shame its always the nanny with the children versus regularly released photos of the children with the parents and other family members. Folks would have more sympathy and interest in ignoring the pap shots, if they were given regular official content to consume. As it is, it's been about 3 months since they've been seen. I suppose you are doing the correct thing, Charlotte since William and Kate has made such an issue of photographs. It really sounds harmless in this setting as described and there is naturally equally harmless interest in seeing how the children are progressing, especially Charlotte at this age - and no official photos to fill that interest. I wish there would be an understanding that in certain very public settings photos may be acceptable - while in clearly intrusive places they are not. It is particularly a hard decision for you since other blogs are publishing and will draw readers because of that. And as far as I can tell, William and Kate offer no benefits to blogs and the British press who observe their wishes - just a pompous statement about them doing "the right thing." All very well for them to say. as their income doesn't rely on it. Then when they do give out something, William and Kate have been giving something special to Twitter - the exact place where photos they don't like are spread in part. They can be the most frustrating couple and suspect when they are older, and want press attention, may pay for it. There is no royal who doesn't lose attention as they get older, no matter how popular they are when young wiith young children. (I know you blog isn't for profit , of course, but readership counts everywhere for adverts and for the British press it does count.) You've always been very considerate about it, sometimes posting a link - which anyone could find - but not posting pictures in the past. So it seems that once again Australia and people who support less considerate blogs and sites will see more of Charlotte and George - it's a pity but that's the way it goes. I certainly understand the statements on both sides above. I do want to echo that Charlotte, this is your blog, you run it beautifully, and you're entitled to set "house rules" - but if you don't mind me saying, I think there has been an almost bizarre overreaction by many people, maybe because this is the first "test" since the KP letter? If the children of the President of the United States were standing in front of the White House watching Marine One land, would it be wrong to take their photo? Wrong to look at the photos? Of course not! It happens all the time. And likewise, there is nothing wrong with these photos. We have crossed into the absurd here, people on Twitter rushing to assert some moral high ground, urging others to "stay strong" "don't look" ---- as if some illicit material was being passed around! For goodness sake, I'm all for taking a stand on an issue, but there's no issue here! Please save the energy and outrage for something much more egregious than this. Children of the royal family were standing in public view in front of a royal palace watching the royal helicopter, this consternation is becoming comical. I understand your sentiment Charlotte that when you don't know the circumstances surrounding the photos, a blanket policy may be best. But I also think a smart person such as yourself can judge photos on a case by case basis and determine when something may have crossed the line. Again, your house, your rules :) But I think we all need to step back to reality and take a healthy dose of common sense. My apologies if I am too frank! pap photos through their unrealistic expectations. For what it's worth I think you're doing the right thing as well, Charlotte., There was a big to-do here about paparazzi taking photos of the children and people were overwhelmingly against publishing them. So I think it's lovely you listen to the readers of your blog and act accordingly. I agree with Julia that William and Kate could help by releasing photographs on a regular basis. Quarterly perhaps? That's only four per year (plus special occasions); not a lot. Sometimes I think there is a real disconnect between William and his duty to the public he will one day represent. His children do deserve a childhood, but releasing four to six photos a year does not take that away from them as well as hopefully decreasing the value of a pap shot. Well, I must be in the minority...I can't say I love the pants and after seeing more photos of her new fringe hairstyle, I am even less a fan. In my opinion this hairstyle really ages her. Although it definitely is refreshing to see Kate wear something other than her skinny jean "uniform" to a sporting event, I hope she continues to opt for mostly dresses for her engagements. I actually love the fact that Kate wears so many dresses and coats, that's one of the reasons I follow her style. You just don't see such a variety of skirts in most people's wardrobes these days. I agree with the previous poster who said this look reminds of Queen Letizia's style. Most importantly, the royals seemed very happy and to have a very enjoyable evening. Love all the photos of their various expressions during the match! Kate looks gorgeous with her new haircut and her outfit is fabulous!! I wonder if she noticed the plethora of choices we all picked out recently? I also love the pictures of the brothers rivalry between teams. I can scarcely criticize Kate's outfit, since I own a black twinset that I wear with white-speckled black capris, or alternately with black and white plaid slacks. But I must say I am not fond of skinny pants. I can't tell just how tight Kate's are, but it always seems to me that mini skirts, three quarter sleeves, and too tight garments are ploys by the clothing industry to make us think it is OK to use less fabric in our clothing. Saves them money. However, perhaps I am simply an old fuddy duddy. I confess to having worn mini skirts in my young adulthood, but when I recently saw a lady in her upper eighties wearing skin tight jeans, I could only shake my head. Kate' hair was out of her eyes for the rugby game, the better to see the action, my dears. Looked nice, and her face is very beautiful. William also looked very handsome. I agree with yr decision not to print the latest pap prints of the children. Re Anonymous 28/9 02:39 the Cambridges home at KP is private. Same applies to others who live there. Only part of the complex is open to the public. Different access etc. So they were on private grounds. The field where the helicopters take off/land is also private. we have had more access to George than royal children before him, inc William and Harry, at his age. They gave considerable public access to Charlotte's christening and allowed cameras into St James for George. historically all we ever got were posed pictures from inside the palace, so credit where it is due. Time enough the get lots of pictures. Just to add that the attendance on Saturday was not an official engagement for any of the 3. It is not in the Court Circular. Thank you for not publishing Charlotte. For me it is like this. I have an old home and pretty garden which is photographed by passersby from time to time which I don't mind but I would be less than impressed if the children were photograpghed playing in their garden by strangers. I haven't commented in a veeeery long time (having been busy with studying and working), but I've read every post and really enjoyed the comment section! A huge thank-you to you Charlotte for all the hard work you put into this blog - and I totally support your decision to not publish the pap pics of Maria, George and Charlotte.